Your Own American Dream: Buying A Home! The American Dream, as we know it, has always been associated with the proud homeownership. Who hasn’t been dreaming of a nice looking house, at least two cars parked outside, a white picket fence, and above all the perfectly mowed lawn – right? Well, the things have changed a lot. The economic crisis teamed up with the technological progress have given us a completely different perspective. We’re reexamining and reinventing the American Dream. The traditional home ownership concept included, as well. Do you have to own a home to accomplish your American Dream? The math for money-makers is quite simple. If you want to make money, you have to stay liquid all the time. You can’t afford to invest hundreds of thousands of dollars in a new house, if you want to play this game. You need to buy, fix, increase the value, sell, and then buy again. This is how it works. On the other hand, nothing can match the feeling of the proud homeownership. It’s up to you to decide which matters more to you and your loved ones. Once you decide to put down your roots, you are stuck for real. Your thoughts will be occupied with your mortgage, a regular job, where should your kids go to school, and similar. You can forget about your mobility, that’s for sure. Back in the days where the American Dream used to be rock-solid you didn’t have to worry about your job or environmental issues. Nowadays, living a nomadic lifestyle is no longer a taboo or the worst case scenario solution. There are people who gladly and willingly accept the alternative lifestyles that just don’t go hand-in-hand with the traditional homeownership concepts. 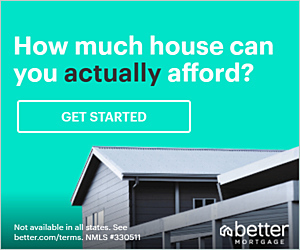 You just bought your new house and you think that a mortgage is all you have to worry about. Well, think again. The maintenance costs will keep pilling up and there’s no much you can do about it. Don’t forget the insurance costs and that gorgeous lawn will issue a bill at the end of the month too. If you decide to live in a rented home then someone else will have to worry about the maintenance tasks. You can spend a lifetime comparing pros and cons of owning a home. There’s no definite answer. Also, if you don’t want to trap yourself in an endless loop of troubling thoughts, you shouldn’t question the very existence of the American Dream itself. You may think that the American Dream is dead or it’s still alive and kicking. This doesn’t change the fact that you have to make some tough choices of your own. To buy or not to buy, to own or not to own, those are the questions now.